Recently, Brad over at You Jivin’ Me, Turkey? wrote a post about the best vs. his favorite films. For example, he stated that while he thinks The Empire Strikes Back is the best of the Star Wars saga, his favorite is Return of the Jedi. That got me thinking about some of my favorite films. Is there a line where I pick what I consider the best film to be my favorite. So let’s talk about the film that pretty much everyone calls the best of all time, Citizen Kane. Sound and Sight Magazine has constantly named it the greatest movie of all time (at least until this year when Vertigo replaced it). Multiple critics including Roger Ebert have called it simply the best film of all time. About a year ago, I actually was in the latter crowd. I did think Kane was overrated but I eventually changed my opinion when I reevaluated the movie. 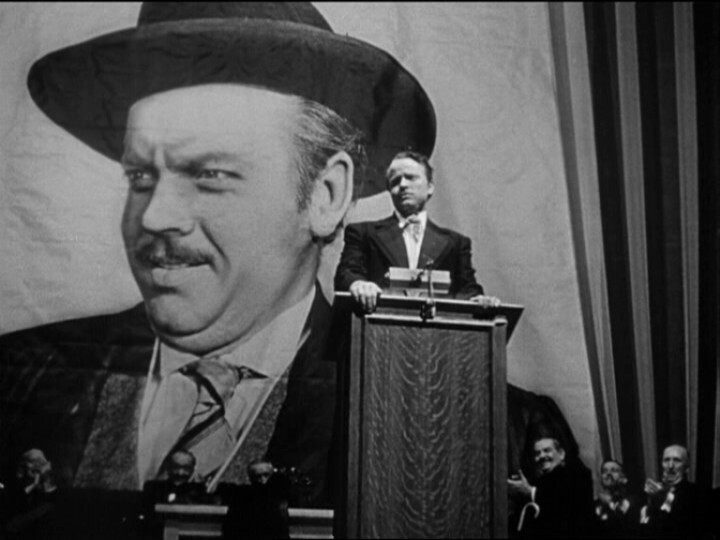 It took me a while to recognize the brilliance Welles put into Citizen Kane and what effort it must have taken. I didn’t realize it when I first saw it (to be fair I hadn’t seen it for quite some time). Apocalypse Now! I usually tell me my favorite film is The Godfather, but I think I might now prefer Francis Ford Coppola’s other classic. I think Apocalypse Now is as well made as Citizen Kane and even more enjoyable. The entire film is everything a war movie should be: exhilarating and thrilling while being frightening and terrifying. Do you have a difference between the best and your favorite movie? Thank You For The Mention, Totally. And I Loved Your Post! Thanks! I absolutely love Apocalypse Now! I have to think that through (to be honest I’m considering lifting the idea for a future blog post and will ping back here if I do), but I can already answer based on the Hitchcock point. Although Vertigo was named the greatest film overall, I get far more joy out of either Psycho or Notorious. In truth, I’m not even entirely sure Vertigo makes my top five when it comes to Hitchcock. Vertigo probably is my favorite Hitchcock movie, though Rear Window and Psycho do come very close. I haven’t seen Notorious sadly, which I hope to do soon. Thanks for commenting. I’ll be sure to read your post. I’m like that with music, I never prefer the song the band is most known for. Need to rewatch Kane, as I found it underwhelming the first time. I found the same thing when I first saw Kane, but now I think its worthy of its reputation. Thanks for commenting. AN is through and through, absolute perfection. A complete work of art. I dug this post. Good job. You and Brad should do some more. Thanks! 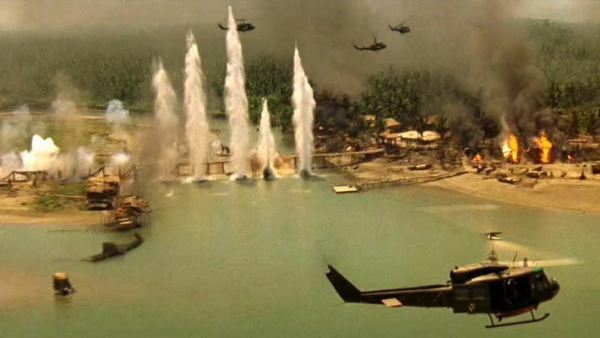 Apocalypse Now is pretty much the perfect war movie. Nothing really is more engaging that it. My favorite movie of all-time is No Country for Old Men, but The 400 Blows and 2001 are right behind it. I don’t think that No Country is the best movie ever, but I would strongly consider those other two. Apocalypse Now is pretty great as well. I consider No Country For Old Men to be one of the best films of the decade. 2001 I would say is as well made as Kane. I sadly haven’t seen The 400 Blows. I’m glad you loved Apocalypse Now too. Thanks for commenting. I definitely distinguish between ‘favorite’ and ‘best’ when asked. Yeah, same with me. There’s a lot of great movies I like but enjoy others more that I don’t think are quite on that level. Usually they’re near the same in quality but I like a specific trait about them. Thanks for commenting. Best:Alien. Favorite: Terminator 2. I have to watch those movies over and over since I am an alien-terminator-human! I love both Alien and Terminator 2 too! Cool! Just wish the films didn’t show us aliens and terminators as evil killers. Most of us are normal citizens!